On the tourism front, big-city Barcelona takes centre stage in the east of Spain. But not everyone knows about gorgeous medieval towns and seaside villages that surround the popular city. When urban living gets hectic and monotonous, even locals love to explore Girona to the north, Sitges to the south, or wander to the quieter, relaxing beaches along the Costa Brava. Luckily, you don’t need a car to get around to all these destinations. The Catalonian train system (called Cercanias) gets you there easily. 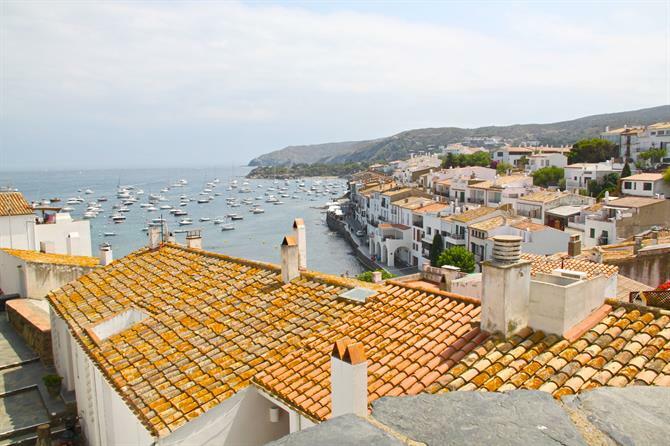 Have a browse through our Costa Brava properties here. The is an easy day getaway from Barcelona because it’s only 35 kilometers south of the city and is particularly perfect for a sunny day. Its seaside beachfront is fun to do for lunch. Afterward, climb up to the Cathedral overlooking the sea to get refreshing views of the city and sea. Keep going straight, and you’ll be led to the whitewashed old town. Sitges is also a popular beach spot for merrymakers. 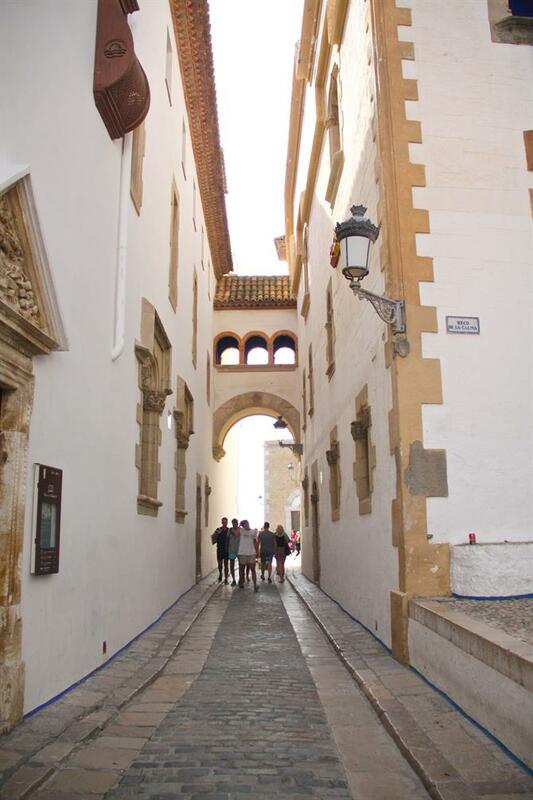 It holds the popular Sitges Film Festival, a fun and scary festival for thriller fantasy films. Sitges also goes overboard during Carnival season, having sophisticated and best-dressed costumes during its colorful parades. 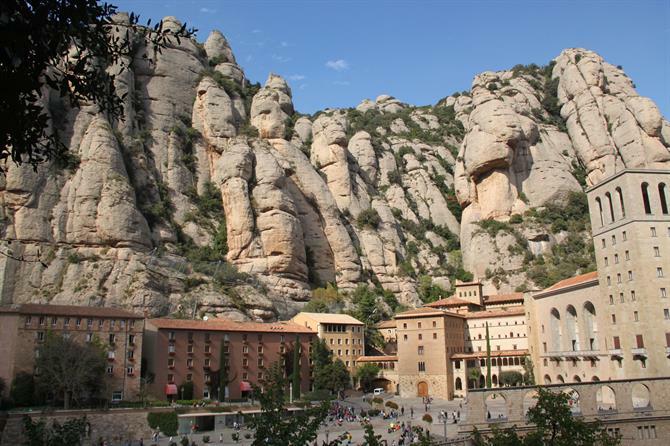 Montserrat, which means “serrated mountain”, is the complete opposite of the urban madness of Barcelona, and is just an hour by train from Barcelona. This peculiar set of rugged mountains has been a centuries-old haven for solitude and spiritual renewal. Pilgrims come here to pay homage to the beloved Virgen of Montserrat, a black virgin statue is known to perform miracles. She is housed at the Santa Maria de Montserrat Abbey, which includes a gorgeous Gothic and Renaissance-style basilica. Montserrat is also a popular spot for natural lovers and hikers — trails run from easy (even small children can do them) to difficult, where you can get the most breathtaking views. The most exhilarating way to get here from the bottom is being suspended by cable car — a five-minute journey. It’s not for the faint of heart, but you get amazing glimpses of the scenery below. This small fishing town in the Girona province became largely famous by Salvador Dalí, who came here often as a child, and even has a home in the nearby Port Lligat. It’s no wonder he was inspired by its atmosphere — it’s a small, whitewashed town with an artsy, bohemian vibe. You can just imagine Mr. Dalí standing by the water with his easel painting the colorful boats floating in the sea or the one of the intimate bays which beautifully line the town. Other famous artists and writers came here to seek creative inspiration, including Joan Miró, Federico Garcia Lorca, and Pablo Picasso. The most charming parts of the city are its cobblestoned streets with white buildings and pops of color. It’s best to get here by car because the drive is over two hours from Barcelona, but it’s well worth the trip. This little medieval town of the Costa Brava region sets itself apart because of its atmosphere that sweeps you into old-world history. Its star feature is the well-preserved, 12th-century Romansque bridge that goes over the Fluvia river. Its formation is somewhat of an “L” shape, and you get spectacular views of the other parts of the bridge itself and the city behind it. You can also walk down to the quaint rocky riverbed to get a closer look. Besalú also has several Jewish baths called “Mikvehs” that date from the 12th century, which was discovered in the 1960s. You won’t find the large commercialism of Barcelona here -- just a heavy helping of medieval history. This medieval town of Costa Brava has the best of both worlds — it has historic charm of its Old Town and plenty of beach sand for sunbathers. The city is known to attract Hollywood starlet Ava Gardner, who filmed the movie “Pandora and the Flying Dutchman” here. The people loved her so much that they installed a life-size figure of her overlooking the sea. 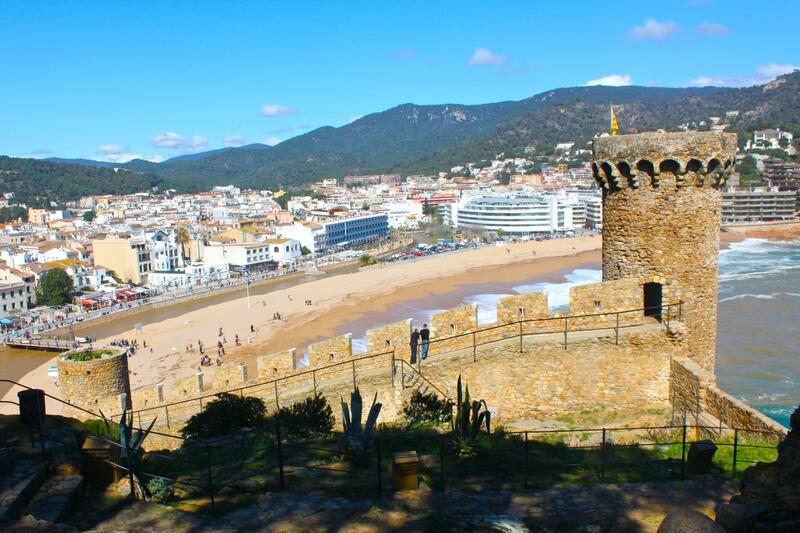 The most eye-catching feature of Tossa de Mar is it’s walled-in city that overlooks the bay. You can get multiple magnificent views of the town below and the sea. When you go inside, you’ll find centuries-old towers and cobblestone streets and even more amazing views of the waves. Find out more about Tossa de Mar here. 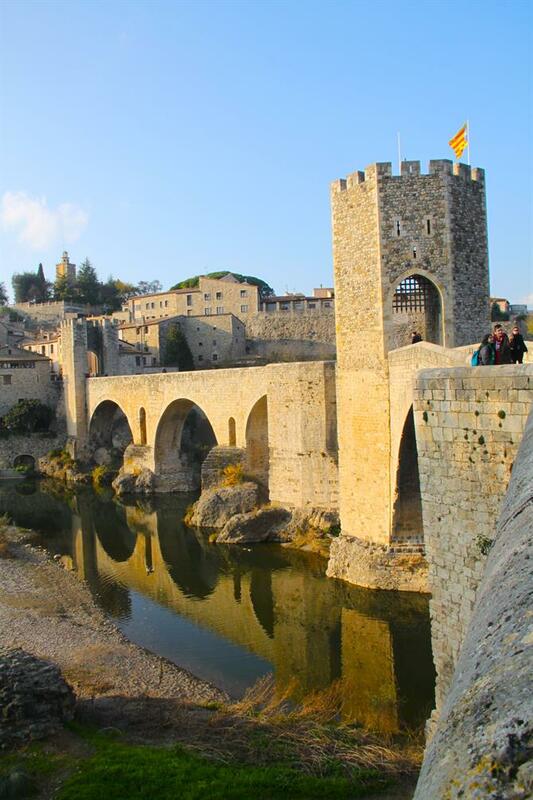 Girona is a stunning walled city that sits majestically on a hill above the Riu Onyar. It’s an eccentric city of cultural roots, overtaken by the Romans, Jews, and Moors at some point in history. A must-see is the Girona Cathedral built between the 11th and 18th century. The Placa de la Catedral is a glorious sight, with a massive staircase that leads up to it. Its structure is interesting because it includes Baroque, Romanesque and Gothic influences. It has such a larger-than-life presence that the TV series, Game of Thrones, was filmed here for its sixth season. You also can’t miss the fortress, a narrow wall that you can walk on to get amazing views of the city. Walk up its multiple circular stairs and climb up its high towers. And we can’t forget Girona's impressive Jewish quarter, where the Jews lived until they were expelled until 1490. Then take a stroll across the Pont de Pedra (Stone Bridge), where you can get an eyeful of the pastel-colored homes along the river. Fancy a delectable meal? Try the three Michelin-starred Celler de Can Roca, named the best restaurant in the world multiple times by Restaurant magazine. 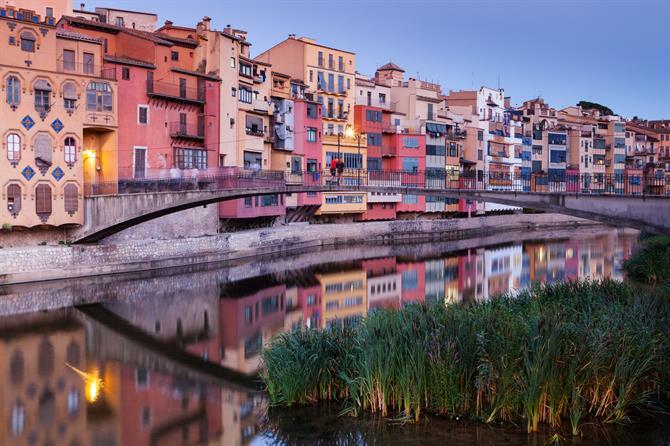 Fancy a getaway to Girona? Search our selection of Girona properties here. Want to know where these fantastic towns are? See below — they’re not too hard to get to. Have you been to any of these towns? Or have you taken other day trips outside of Barcelona? A must-visit in Barcelona, the Sagrada Familia is undoubtedly the most recognisable work by famous Catalan architect Antoni Gaudí. His masterpiece. A place of solace and relaxation, Montserrat in Barcelona, offers spectacular views of the Llobregat valley and the surrounding countryside.